Norbert H. Erdelt, 83, of Lake Jackson, Texas passed away Friday, April 13, 2018 after a 25 year battle with Parkinson’s disease. He was born June 16, 1934 in Louise, Texas to Henry and Mary Dettling Erdelt. He served in the U.S. Army in the fifties. Norbert was a member of St. Jerome’s Catholic Church. He retired from Dow Chemical after forty plus years of service. 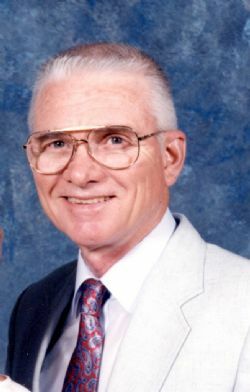 He was preceded in death by his parents, wife of 54 years, JoAnn, and son, Michael. Norbert is survived by 4 children: Philip (Lisa Hail) of Angleton, Valerie (Mike) Timmins of Angleton, Jeffrey (Lisa Rubalcaba) of Lake Jackson, Matthew of Lake Jackson, 7 grandchildren, 13 great grandchildren, 1 great great granddaughter, 1 sister: Joyce (Louis) Gerard of Wharton, 2 brothers: Charles (Mary Ann) of Wharton, Don ( Mary) Erdelt of Wharton, and several nieces, nephews and other relatives. Norbert’s family would like to extend their sincere appreciation to his caregivers, son Matthew, Oak Village Healthcare and Heart to Heart Hospice. The family will receive friends 5pm -7pm Monday, April 16, 2018 at Lakewood Funeral Chapel. Rosary services will be 10am Tuesday, April 17, 2018 with 10:30am funeral mass to follow at St. Jerome’s Catholic Church. Father Jim Lyons will be officiating.